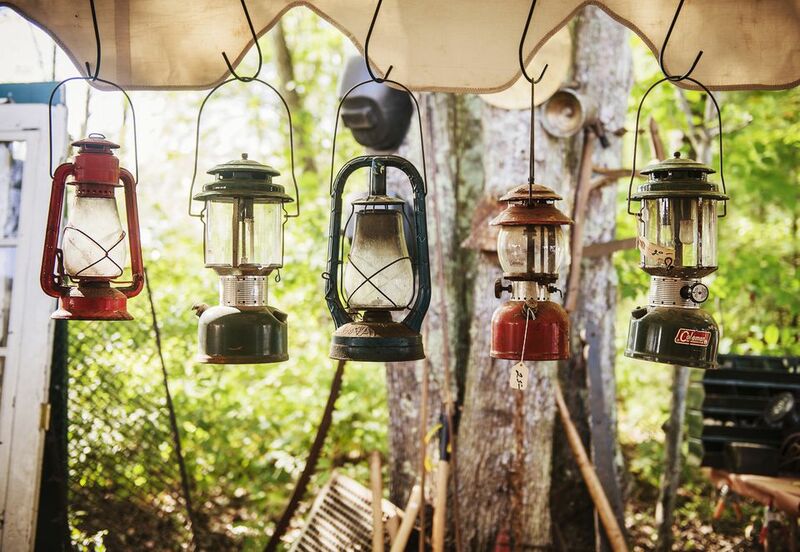 The Brimfield Antique Show, held three times each year in Brimfield, Massachusetts, is the world's largest outdoor antique show, and it's been a must-visit destination for antique lovers for more than 50 years. The first Brimfield Show for 2019 runs May 14-19. Other Brimfield dates for 2019 are July 9-14 and September 3-8. Hunt for bargains on antiques of all kinds along a one-mile stretch of Route 20 in Brimfield. Be prepared for a great deal of walking. Brimfield is a sprawling show. Arrive early for the best parking availability. Although some lots were charging more, we were able to find parking in a $5 lot on Thursday. The most you will likely have to pay to park is $10. If you plan to shop, bring along a sturdy tote or rolling cart. We overheard a passerby mention that the average Brimfield Antique Show visitor spends $175. Not sure if this is true, but I can vouch for the fact that it's possible to enjoy browsing without spending a penny. While some fields at the Brimfield Show charge admission, most do not. If you're more of a browser than a serious antiquer, you'll find plenty to see without paying an entrance fee. The centrally located New England Motel offers a food court with a great selection of dining options. The lobster rolls served by Rhode Island's D&L Lobster Express were a treat!